Porsche looks back on another successful fiscal year; sales revenue and profit exceed the prior-year figures. The first all-electric Porsche is set to launch in 2019 under the name Taycan. Exclusivity and social acceptance, innovation and tradition, performance and everyday usability, design and functionality – these are the brand values of sports car manufacturer Porsche. 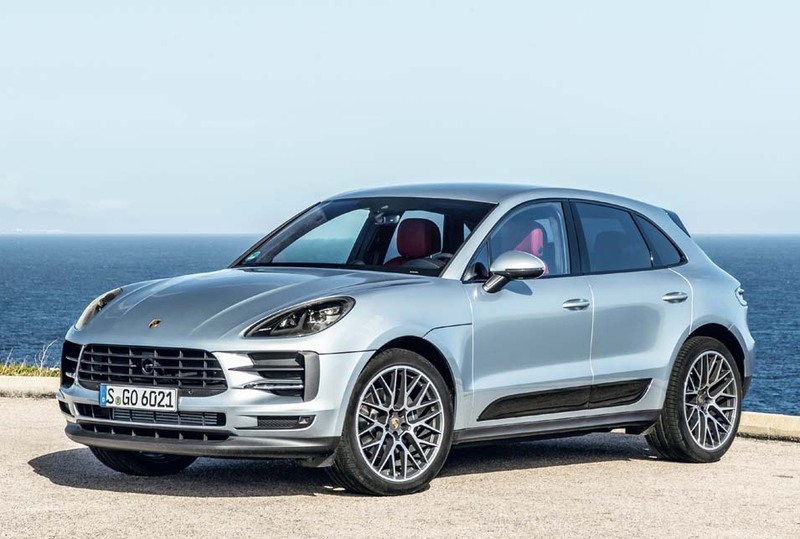 The brand presented the new generation of the Macan in 2018. The SUV has been extensively enhanced in terms of design, comfort, connectivity and driving dynamics. The Porsche Communication Management with a 10.9-inch touchscreen enables access to new digital functions, such as intelligent voice control and the online navigation provided as standard. A high-performance sports car also made its debut: the Porsche 911 GT3 RS, which generates 383 kW (520 PS) and accelerates from 0 to 100 km/h in 3.2 s. Its top speed is an impressive 312 km/h. The new generation of the 911, which was presented at the end of 2018, will launch in 2019, once again setting standards in terms of exclusive sportiness. Intelligent controls and chassis elements as well as innovative assistance systems combine the uncompromising dynamism of the classic rear-engine sports car with the demands of the digital world. Porsche announced in 2018 that the brand’s all-electric model, previously known as the Mission E concept car, will be marketed as the Porsche Taycan from the end of 2019. The brand also presented an electric-driven crossover utility vehicle: the Mission E Cross Turismo concept study. Its strengths are the exciting design, striking off-road elements, and innovative display and control interfaces with touchscreen and gaze control. In the reporting period, Porsche delivered 256 thousand sports cars, an increase of 4.0% on the previous year. China remained the largest single market for Porsche with 80 thousand vehicles (+12.0%). Sales in North America rose by 3.7%. At 253 thousand vehicles, Porsche’s unit sales exceeded the prior-year figure by 1.9% in 2018. In particular, the Panamera and Cayenne achieved impressive growth; sales of the 911 were also up. Porsche produced 268 thousand vehicles in the reporting year. This was 5.0% more than in the previous year. The 2018 fiscal year was once again very successful for Porsche: Porsche Automotive’s sales revenue rose by 9.2% to €23.7 (21.7) billion. Operating profit increased by 2.7% year-on-year to €4.1 billion. The rise was particularly attributable to the increased volume and positive mix effects, while higher research and development costs, particularly for e-mobility and digitalization had an offsetting effect. The operating return on sales stood at 17.4 (18.5)%. Porsche (Automotive and Financial Services): sales revenue €25,784 (23,491) million, operating profit €4,291 (4,144) million.